Once again, this post is brought to you in association with RALF from DP Software and Services. I’ve used RALF for the past 9 years, and it’s my favourite RAJAR analysis tool. So I continue to be delighted to be able to bring you this analysis in association with them. For more details on RALF, contact Deryck Pritchard via this link or phone 07545 425677. All views here are clearly my own! 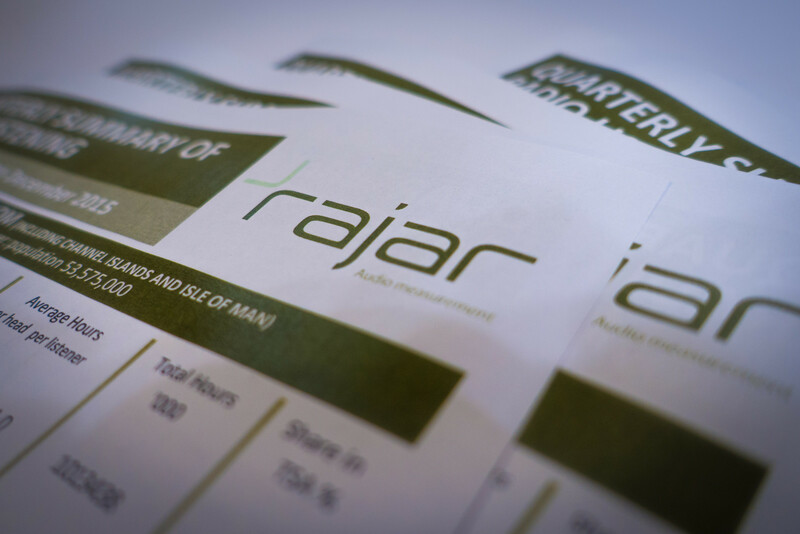 Just when you weren’t expecting it, along comes another RAJAR. Overall, among all radio listeners, the quarter that includes much of the summer has seen a slight decrease, which is a regular seasonal thing. Reach has fallen 1.1% from last quarter’s record level but is still up 0.7% on last year. Hours are fairly stable too, down 0.7% on the quarter but up 0.4% on the year. Some – but notably not all – of the Brexit highs from last quarter have righted themselves, and we’ve got a second set of numbers from a whole host of new services. Last quarter we saw a swathe of new services arrive on RAJAR, and indeed this quarter sees a first result for Heart Extra – a creditable 664,000 with nearly 3m listening hours. But let’s have a look at the other newbies and see how they’re settling in after the flurry of activity around launch. TalkRadio has probably done the best, seeing some very solid numbers with a 36% increase in reach to 304,000 and a 63% increase in hours to close to 1.4m hours. Notably, the average number of hours spent listening to TalkRadio is up to 4.5 – not quite enough for it to be many people’s first choice station, but a solid secondary choice. I would expect this audience to continue to grow. I’m not sure to what extent News UK is promoting its services in its sister papers, but The Sun seems like a solid stablemate for the station. TalkSport 2 hasn’t done so well, and is down 12.3% in reach (-3.0% in hours). While the football season began during this RAJAR period, it takes a little time to get up and running. So another quarter is needed to get a sense of where the station is at. Notably its older sibling had a poor performance this quarter, which only partly reflects that this period was post Euros. The station was down 13% in reach on the quarter, but 9% on the year. Hours were much more solid, down 1.3% on the quarter but up 2.7% on the year. The station has seen a couple of schedule changes recently with Colin Murray replaced by Jim White – although the latter hasn’t yet really been reflected in these figures. Virgin Radio is also probably a little disappointing, down 15.6% on the quarter in reach and 13.8% in hours. Finally, Radio X saw a 6.4% increase in reach and a 14.4% increase in hours. I think the best you could probably say about that is solid, but the marketing and talent costs for the station surely need to warrant a larger audience than the current 1.265m reach that the station has. Elsewhere, there will be some slightly tempered relief at Radio 1 where reach has increased 4.4% on the quarter (down 6.5% on the year), and up 5.0% in hours (down 7.4% on the year). It’s still just shy of the 10m mark though, which the station will be looking to return to. Few will be too tearful that Radio 2 has lost a few more listeners down 1.0% in reach on the quarter and 3.5% down in hours. It’s still by far the biggest station in the UK, some 4m clear of the next biggest station Radio 4. Radio 4 itself is down a little this quarter to 11.2m, but is up on last year at the same time. Coming in a period after the Brexit vote, that’s perhaps not surprising. Although it remains a busy time for politics, the same pattern seems to have been reflected in post Brexit newspaper ABC figures. Radio 3 has had a bit of a fall this quarter, surprising in a Proms quarter. You may recall that they achieved some recent record figures in the last quarter, but now it’s below 2m again in reach. Over at Five Live, they will probably be disappointed with a 6% decline in reach and 12% fall in hours during a quarter that included the Olympics. It should however be noted that year on year performance is relatively flat. Classic FM has had a poor quarter too in reach terms, down 4.2% on the previous quarter and down 3.8% on the year. Hours are much more stable however. Absolute Radio has had a strong quarter, up 21% in reach on the quarter and 24% on the year. In hours terms, it’s also a positive story with hours up 22% on the quarter and 17% on the year. Similarly, the Absolute Radio Network is net positive, with up in reach and hours on the quarter. But that slightly disguises the fact that Absolute 80s has fallen again. It’s reach is down to 1.458m (down 7.8% on the quarter and down 7.2% on the year), with hours down 1.4% on the quarter and 7.6% on the year. There has been a clear decline since the station moved from the Digital One to Sound Digital multiplex earlier this year. As a result, Kisstory (which is also carried on a range of local DAB multiplexes as well as Sound Digital) is now the largest commercial digital only service. Kisstory has had some great results this quarter, up 4.6% in reach (23.3% on the year), and an essentially unbelievable 58.7% in hours (76% on the year). I’ve no idea quite what’s happened here, but I’d probably wait until next quarter before making too many pronouncements. Either way, these are both record results for the station. Kiss, on the other hand, has had a poor national result, down 10% in reach on the quarter (down 7.1% on the year), and down 6.7% in hours (down 8.4%) on the year. [Updated] And 6 Music had yet another record quarter, up 3.4% to 2.342m. Hours were broadly flat, but well up on the year. Magic has a mixed result with a slight increase in reach on the quarter (up 2.7%), but a fairly dramatic fall in listening hours (down 15%). The Capital Network did well this quarter, growing its audience by 2.6% on the quarter and 8.1% on the year. It also saw growth in listening hours. The Heart Network did OK too, up 1.6% in reach and 3.6% in hours. It was down on the year however. Finally, LBC actually bucked the post-Brexit trend nationally, seeing its reach increase 4.2% and hours up 4.6%. Year on year these figures are remarkable – up 21.6% in reach and 32.7% in hours. Along with Absolute Radio, I’d say that LBC had the standout set of results this quarter. I won’t dwell on breakfast too much this time around except to note that Chris Evans saw his reach fall 4.4% this quarter (down 3.9% on the year) to 9.058m. Over on Radio 1, it’s another disappointing set of results for Nick Grimshaw – his worst to date. He now has 5.249m listeners, down 3.4% on the quarter and down 9.1% on the year. Meanwhile across the Absolute Radio Network, Christian O’Connell has just superseded his previous best ever results with a new record set of listeners – 1,949,000. That’s up 1.4% on the quarter and a massive 14.6% on the year. His is the largest commercial breakfast show in the country. Last quarter there was something of a surge in London with a massive growth in listening. This quarter, that seems to have righted itself to a degree. All Radio listening was down 2.8% in reach but down 6.1% in hours in the capital. However, year on year, the reach is up 3.1% and down just 1.6%. So I would think of this as a correction. The figures are similar for both BBC Radio and Commercial Radio, with the latter losing a little more reach. But in London, Commercial Radio continues to lead the BBC with 51.2% of listening compared with the BBC’s 42.5%. One consequence of all of this is that Capital becomes the biggest commercial station in London in both reach, despite seeing an 11.2% fall in reach and a 12.2% fall in hours. Kiss has had a poor result all around and that means that they lose they’re just pipped by Heart (9,179,000 v 9,177,000 hours!) who lost a relatively modest 2.4% in reach. The biggest commercial station for hours is LBC, despite actually seeing a massive dip in both reach and hours on last quarter – down 23.3% in reach and down 27.6% in hours. I’d firmly put that as a consequence of Brexit however since year on year, they’re up on both measures. Magic is also notable since it has bucked the London trend and grown 10.5% in reach (5.4% in hours). Hours are down on the quarter, but up on the year. Radio X really is suffering in London. It’s at just 378,000 in reach, down 14.5% in reach (and 25.4% down year on year). Hours are steady. Finally BBC London has had a poor result on the back of last quarter’s decent one, back down 17% in reach and 40% in hours. Digital listening has grown again, from 45.3% of all listening, to 45.5%. The chart below shows the extent to which this is driven by different platforms, with notably DAB accounting for nearly one in three hours of radio listened to. More interesting perhaps is that among 15-24s, digital listening has now reached 50%! (It’s also reached 50.1% among 35-44s for the record). While overall radio listening continues to fall among this age group, that listening that they’re now doing is much more likely to be digital, with internet streaming quickly approaching DAB as the preferred digital platform. The following series of charts is perhaps useful. While the digital/analogue chart above got close in 2013, this is a clear trend. It’s easy to become obsessed by youth listening, but as well as the behaviourals of how younger people listen (I hesitate to say “millennials” since that’s ill-defined, and a constantly moving goal), the volume of listening is important to consider. This chart shows that while the overall proportion of radio listeners who are 15-24s has declined over time, the proportion of hours they account for has fallen even faster. So in Q2 2007, 15-24s accounted for 15.9% of all radio listeners and 13.3% of the time spent listening, in the most recent quarter this has fallen to 13.7% of all radio listeners and just 9.4% of listening hours. This is an increasingly hard audience to reach. Here’s another worrying chart. It shows the proportion of 15-24s with no radios at all. Sure, they can stream or listen via digital television, but streaming sessions still seem to be much shorter – your phone or laptop can do so much more to entertain you after all. While these aren’t stratospheric numbers, the rate of “no radio” ownership growth is large, and considering how trivial it is to own a single radio (e.g. your alarm clock), this is still a concerning trend. Even the much vaunted LG phone with DAB has done little to change things, and pretty much none of the flagship phones of 2016 have included any kind of working broadcast radio chip. Radio listeners are remarkably loyal. In a world of an ever growing multiplicity of radio stations, the average radio listener listens to just 3.0 services. But this number varies by station, so the chart below has a select list of services and the number of stations listeners to each of those services listens to. In other words, Radio 2 listeners are basically average, listening to on average 3.2 services (including Radio 2). At the other extreme, Virgin Radio listeners have a repertoire of 6.2 services. As is perhaps understandable, it’s digital stations, who often act as “secondary” services who have the largest repertoires. In the industry vernacular, the station you listen most to is your first preference or “P1”, followed by your P2 and then P3 choices. Radio directors always want their listeners to be P1s. Source: RAJAR/Ipsos-MORI/RSMB, period ending 18 September 2016, Adults 15+. Disclaimer: These are my views alone and do not represent those of anyone else, including my employer. Any errors (I hope there aren’t any!) are mine alone. Drop me a note if you want clarifications on anything. Access to the RAJAR data is via RALF from DP Software as mentioned at the top of this post.